What is refreshing, sweet, PINK and it is always in my fridge? WATERMELON! The best time for watermelon is at its peak season in July and is celebrated as National Watermelon Month! Here are 4 Top benefits of watermelon for all members of your household INCLUDING the cat and dog! Watermelon is cooling! Our internal temperatures can rise in the summertime with the heat and humidity and so does the temperature of your cats and dogs. 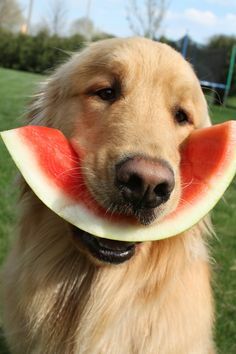 Watermelon helps regulate internal temperature and cools us and Fido down internally. It can help reduce inflammation, urinary track infections, regulate blood pressure. 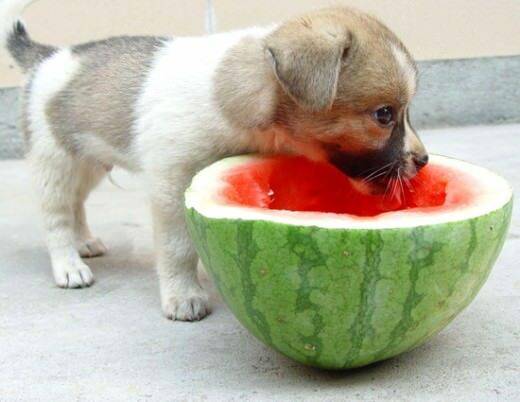 It is even good for a diabetic (humans and pets alike) to eat or drink as there is Zero grams of sugar in watermelon. My dog, Melou, will eat small chunks of watermelon but the cat, named Bai Bai, will only lick or drink its juice. ********Caution, drinking or eating ice does is not cooling internal temperatures, it falsely cools the mouth and pipes but once it gets to the belly, you body has to work harder to convert the ice to water. The digestion process will then create more heat instead of cooling things off! This process can also cause constipation. Room Temperature is best for humans and pets alike! Watermelon is one of the most Hydrating fruits and is more hydrating than water and better for you than a sports drink. That juicy pink, fat fruit contains 92% water, essential rehydration salts calcium, magnesium, potassium and sodium. Watermelon is so hydrating and cooling it will act as an anti-inflammatory agent and will relieve sore muscles. The next time you take an early morning walk with your pup or come in from playing on the beach, split a cold refreshing drink of watermelon juice. Watermelon is Healing. It improves the function of the kidneys and helps rid the body of toxins by promoting urine flow. This will keep the kidneys clean and healthy and functioning better and also improve the digestive system at the same time. Its been used to treat kidney stones in humans and pets alike. Watermelon helps blood flow and circulation. It’s very alkalinizing. antibacterial and anti-coagulating. It helps reduce the accumulation of excess fat for improved heart health and reduce high blood pressure. Watermelon improves the skin. It is packed with antioxidants Vitamin C and Vitamin A and minerals that help the body to use its fluid most effective. Skin improves because the watermelon replenishes and rehydrates the body inside out increasing the blood flow, and hydrating skin cells for younger looking you. Our pets don’t worry about wrinkles but some do have severe itchy skin like our photo shoot pup, Thor. He uncontrollably scratched himself through the entire photo shoot. 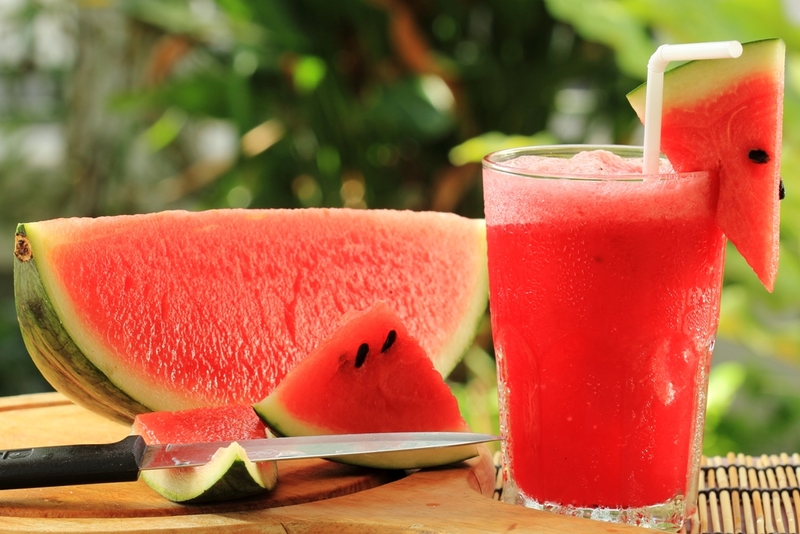 One simple way to relieve the itchiness is to supplement his diet with watermelon or watermelon juice daily. Why? Itchy skin when touched is hot and irritated. This is because the internal heat rose to his skin. The dryness is a lack of moisture and blood flow. Watermelon will hydrate, cool and do all the amazing things mentioned above that will overtime through digestion will alleviate his itchy skin condition. Its not an immediate cure but consistency and small daily intake it will clear the itchy skin. Here are a couple simple recipes to try out this summer that you can share with your pets! Mix on High. Pour and serve. Fresh watermelon juice only lasts the night in the fridge. If there are seeds you can either pick out, strain out or pulverize in the blender. Watermelon seeds are great if you want to loose weight. 1 or 2 are not harmful to your pup just don’t give them a bunch – too much is never a good thing. 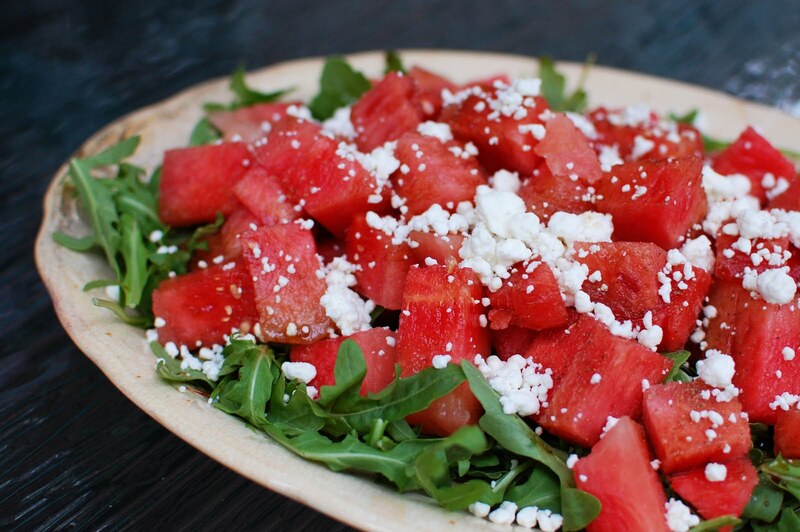 In a large bowl, add watermelon, onion, olives, mint, oil, lime juice and lime zest. Gently toss the ingredients together with the spinach or arugula. Sprinkle feta on top and serve.